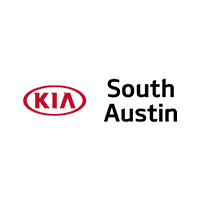 Leasing or buying a brand new KIA Forte in Austin, Texas has never been easier. Visit our Kia dealership today to fully appreciate this ever popular car model. A test drive and an attractive offer will have you driving off the lot today! By presenting our customers with the latest and greatest offers to maximize your dollars, we help save you time by working with you to find the vehicle that fits your specific needs and budget. See our Forte lease offers and deals for this month. We are excited to offer this 2019 Kia Forte. You've found the one you've been looking for. Your dream car. There is no reason why you shouldn't buy this Kia Forte FE. It is incomparable for the price and quality. Just what you've been looking for. With quality in mind, this vehicle is the perfect addition to take home. This is about the time when you're saying it is too good to be true, and let us be the one's to tell you, it is absolutely true. We look forward to seeing you soon! Please call us for more information. We are excited to offer this 2019 Kia Forte. The Kia Forte LXS will provide you with everything you have always wanted in a car -- Quality, Reliability, and Character. Based on the superb condition of this vehicle, along with the options and color, this Kia Forte LXS is sure to sell fast. There is no reason why you shouldn't buy this Kia Forte LXS. It is incomparable for the price and quality. This is about the time when you're saying it is too good to be true, and let us be the one's to tell you, it is absolutely true. We look forward to seeing you soon! Please call us for more information. We are excited to offer this 2019 Kia Forte. This Kia includes: AURORA BLACK *Note - For third party subscriptions or services, please contact the dealer for more information. * You've found the one you've been looking for. Your dream car. You could keep looking, but why? You've found the perfect vehicle right here. You can finally stop searching... You've found the one you've been looking for. We are on The Magnificent Motor Mile!!!! We are excited to offer this 2019 Kia Forte. There is no reason why you shouldn't buy this Kia Forte LX. It is incomparable for the price and quality. This is the one. Just what you've been looking for. You could keep looking, but why? You've found the perfect vehicle right here. Just what you've been looking for. With quality in mind, this vehicle is the perfect addition to take home. We look forward to seeing you soon! Please call us for more information. Thank you for your interest in our inventory of new and used Kia Forte LX/EX models. Visit us today to schedule a test drive of this sporty, fuel-efficient Kia Forte.